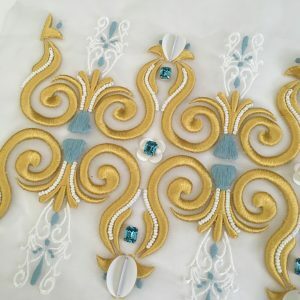 The concept of this project was to celebrate tradition through technology using digital embroidery. Traditional motifs from Paris architecture have been used alongside images of light movement at night to reflect the two contrasting themes and provide visual inspiration. 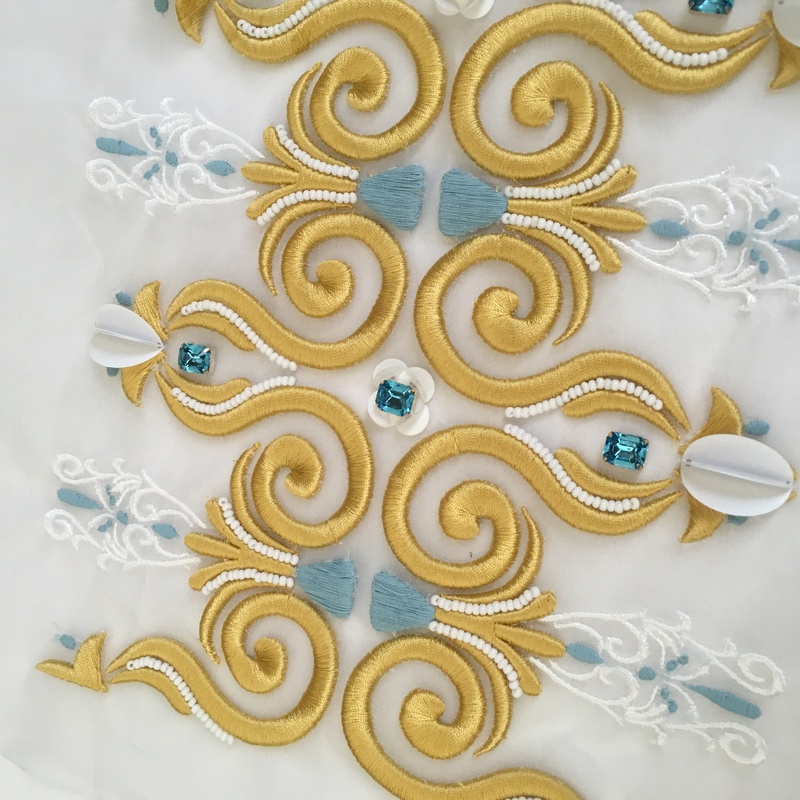 Using samples developed from the initial inspiration the ideas were engineered to fit a dress design that would suit the embroidery and allow it be shown off to its full potential. Small leaf motifs are created using cross stitch in a repeat to form the base of the design. Fringing is then layered on top to create depth and reflect the light images giving movement to the design. This fringing is also layered along the top and bottom of the garment creating volume and more movement. 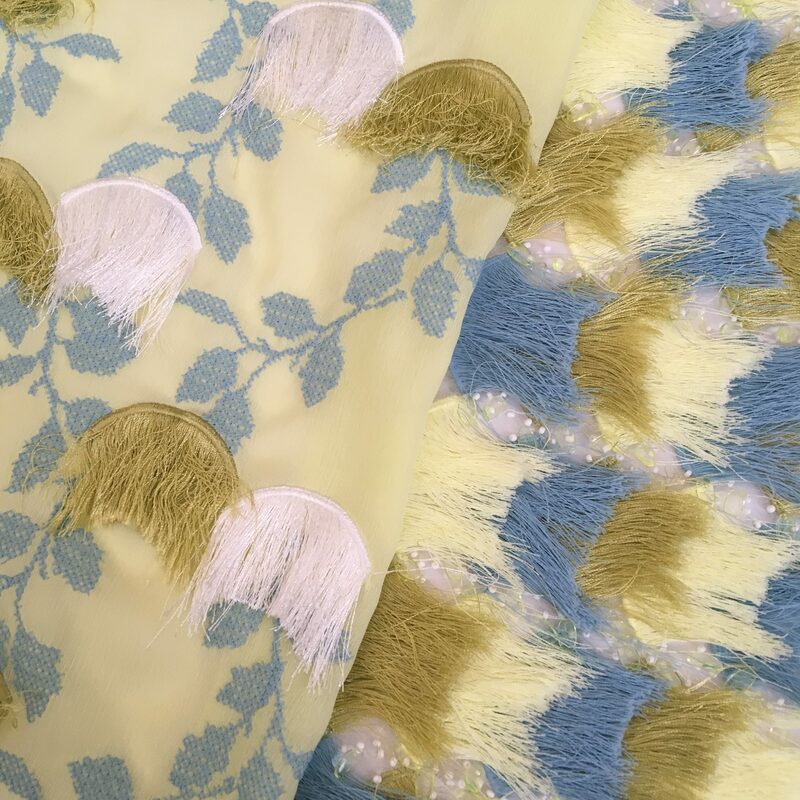 The mix of light and denser areas of embroidery is also reflected in the use of both sheer and heavier weight fabrics to form the dress. The final garment shows how illustrative digital embroidery and fringing can work together to create an idea full of movement and hidden details.